When looking for a great vaping device, the SMOK MICO Vape Kit takes the cake. The kit comes with everything you need to get started right away. You can fill the pods with any flavor of liquid you choose, which is a nice option. There are many great features of the SMOK MICO Kit that make it unique and amazing. The SMOK MICO is available in a variety of colors. The exterior features a resin design so multiple shades of the same color meld together to create an eye-catching design. The exteriors make the unit very easy to identify so you never have to question which one is yours. The vape has a very compact design. It can easily be carried in your purse or wallet discreetly, while still providing you with the vaping strength you need. There is a lanyard that comes with the kit that you can use to carry the unit around your neck, as well. The SMOK MICO is very easy to use. There are no buttons to push, levels to set or mouthpieces to swap out. All you need to do is fill one of the pods with liquid, place it in the unit, turn the unit on and start drawing. When you draw in the vape, you’ll notice a smooth, even consistency. You won’t feel any harshness on the back of your throat. It is ergonomically designed to make vaping more comfortable. The battery in the device is rechargeable so that you can use the device without having to replace the battery. There is an on/off switch to allow you to turn it off when it’s not being used to conserve power and prevent battery safety issues. An indicator light changes color as the device becomes low on power to show when it needs to be charged. A green light indicates that the battery has ample power, an orange light indicates that the battery has between 30% and 70% worth of power left, and the red light indicates it’s nearing time to charge the battery. When its fully charged, most people can get through an entire day without having to charge the battery again. 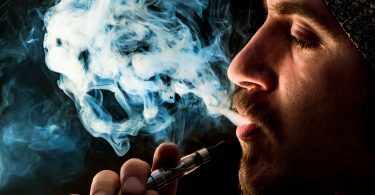 The device allows you to still vape while you are charging it. The included charging cord can plug into any USB port. The SMOK MICO Vape Kit comes with two refillable pods. One of the pods has a mesh coil, while the other has a regular coil. There is also an optional ceramic coil that you can buy separately to use in the device. A viewing window on the MICO allows you to see the amount of liquid left in the pod so that you can refill it when needed. A small opening on the side of each pod makes filling them easy. Many users state that the mesh coil provides more flavor than the traditional coil, but both work nicely. When using any pod for the first time, it’s a good idea to fill it and let it sit for roughly 10 minutes before you put it in the device. This allows the cotton inside to thoroughly saturate. A small rubber plug built over the opening of the pod keeps the liquid from spilling out when you place the device in your pocket or purse. The pods easily slide into the SMOK MICO Vape Kit, so you can change them out as needed. The mouth piece is molded to fit between your lips comfortably, while keeping the liquid from dripping out unexpectedly. 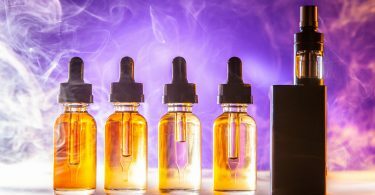 The ability to fill your pod with the liquid that you choose provides flavor options that you don’t get when using pre-filled pods, such as with the JUUL pods. The device is very affordably priced and comes with just about everything you need to get started. 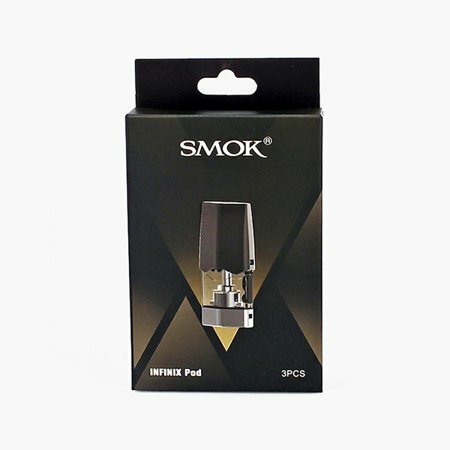 Unlike many other pod devices that are on the market, the SMOK MICO Vape Kit allows you to refill the pods which saves you a lot of money on pre-filled pods. The device has numerous safety features. It will detect when a pod is not in place so that no electricity passes through it when it’s not supposed to. An eight-second cut off feature keeps the device from supplying power when it’s not being used. Short circuit protection keeps the device from short circuiting and all of the internal workings from being fried. The only downside about the device is the length of the charging cord. It is relatively short, but doesn’t take up a lot of space when you are charging the device from your computer or in your car. The SMOK MICO Vape Kit is a great device for beginners because it comes ready and is easy to use. There is an owner’s manual included with the device as well. There is a warranty included in the box so that if anything goes wrong in the near future you can have the device repaired or replaced by SMOK.